furniture « Oh My Blog! Despite the cold weather, this was surprising another good week for yard/estate/demo sales. Living near the coast as we do, many people buy the land a house sits on the for the ocean view or proximity to the beach, then tear it down and build a brand new house. People will often sell the entire contents of the house to be torn down, in what is called a demolition or demo sale. These sales are indoors and can be held year round. Estates sales are the same way. You enter the house and go through room by room. The contents including entire kitchens, bathrooms, along with bedrooms and living rooms are for sale. Everything is laid out and priced by the company conducting the sale. These are some of my favorite treasure hunting grounds. Here are a few pictures of the items I picked up this weekend. 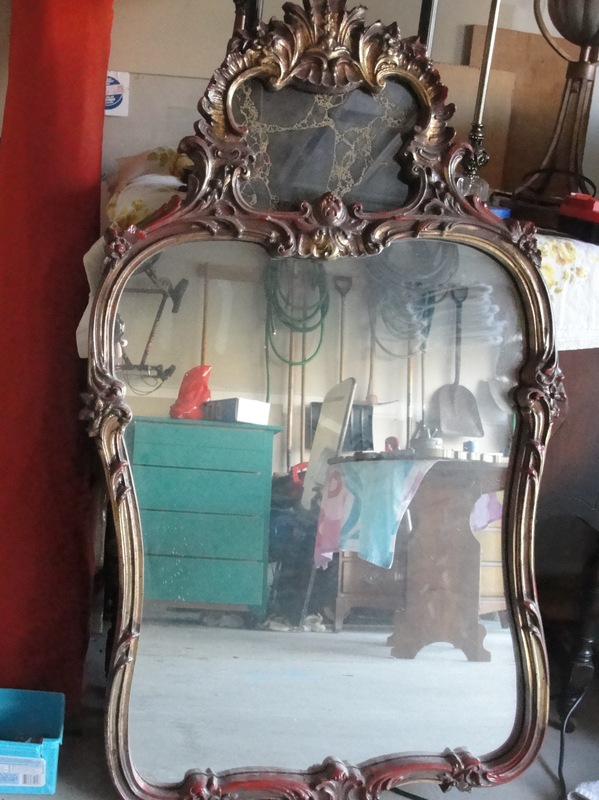 Large antique mirror from estate sale. 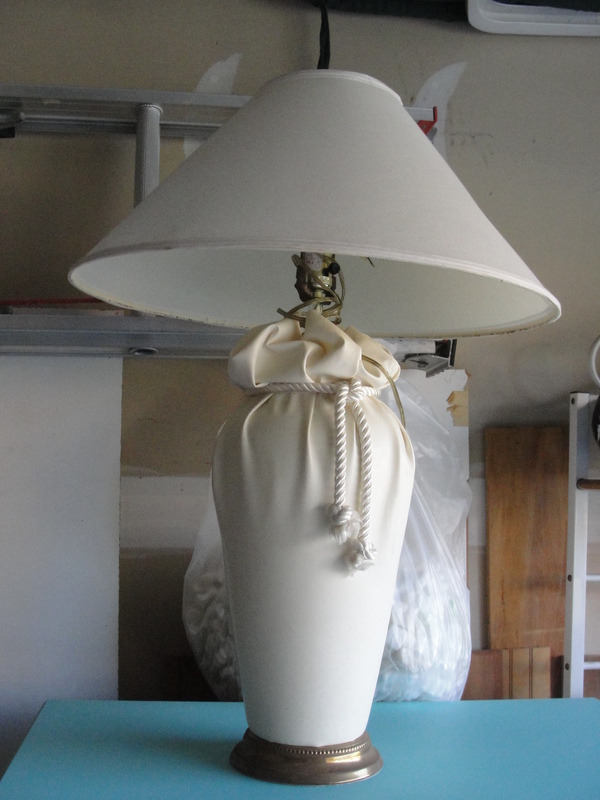 Love this lamp picked up at a yard sale for $5. 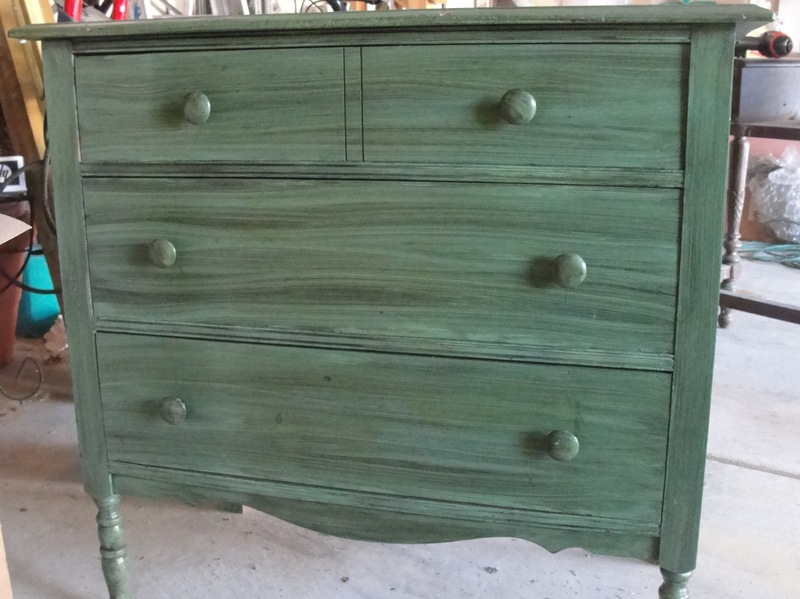 A small green dresser, very good condition, purchased at the same estate sale as the mirror. Deciding the best way to finish painting the dresser actually ended up being harder than I thought it would be. The last drawer is not divided up into the same proportions as the top 3 drawers. 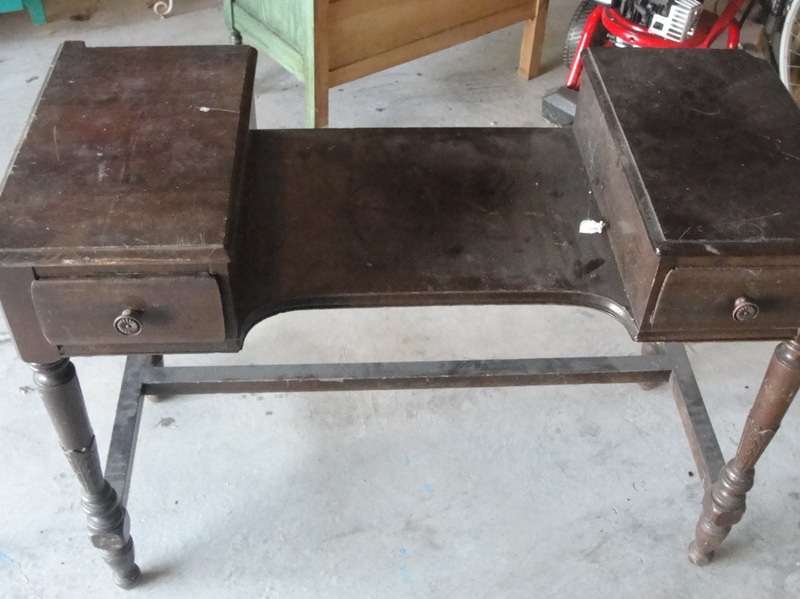 There was also a decorative molding under the top 3 drawers. Believe it or not the answer came to me in a dream. This picture shows you what I decided to do. 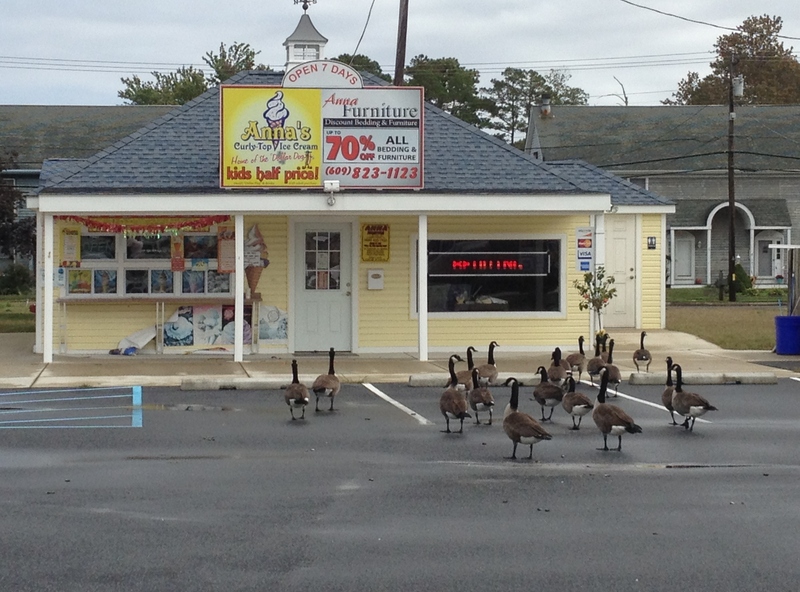 Geese wait for ice cream store to open. Hey, I thought you said the ice cream store was open! I like going to yard and estate sales, playing video games, especially Dragon Age Inquisition and Telltale Game of Thrones. Favorite genre -science fiction, thriller, mystery Books: The Alchemist, The Secret History, The Da Vinci Code TV shows - Once Upon a Time, Game of Thrones, Homeland, Better Call Saul,Orphan Black, Bates Motel. I'm an ex-TV writer, programmer, Database Analyst, Mom, daughter, wife, cook, maid, driver, nurse, and, oh yeah, a writer. michellejoycebond on Here’s your sign!